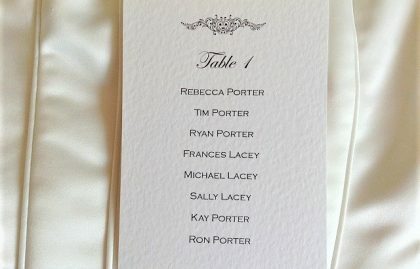 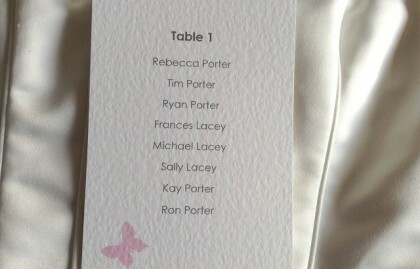 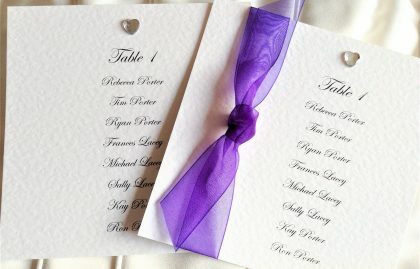 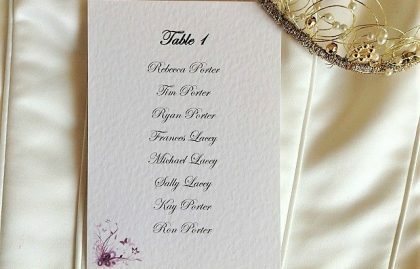 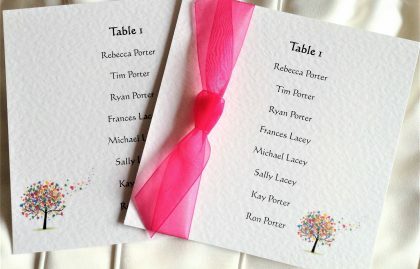 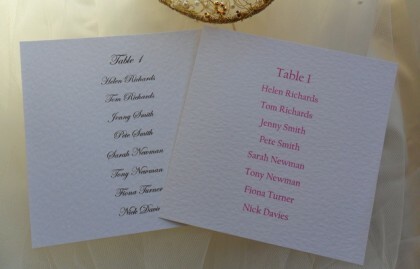 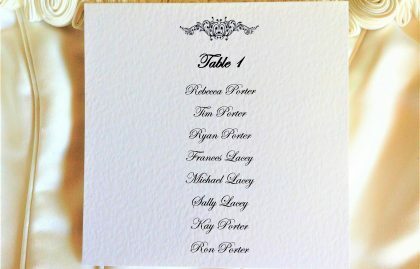 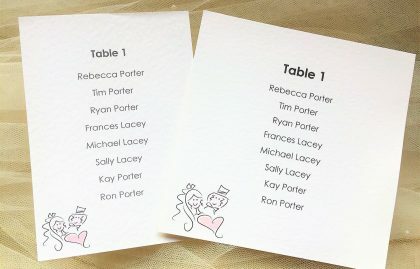 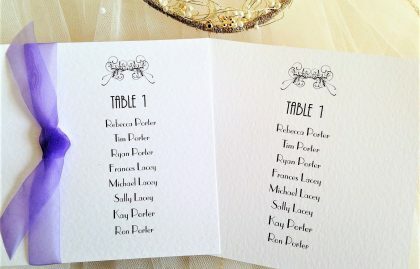 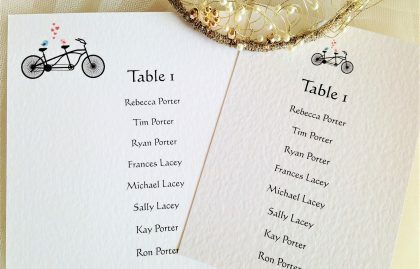 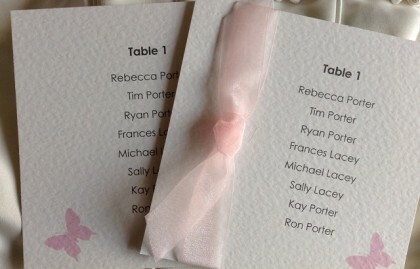 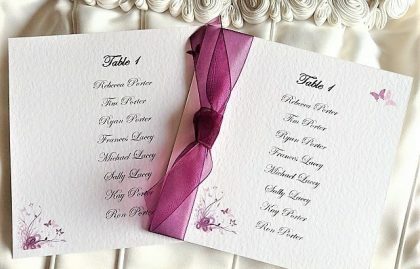 Table Plan Cards for you to mount onto your own board. 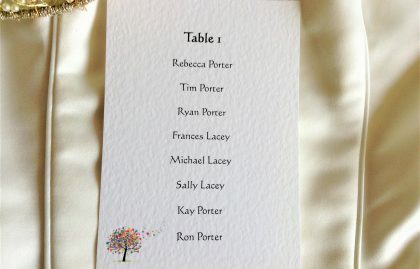 Please request the table plan spreadsheet for completion if you wish to order this item. 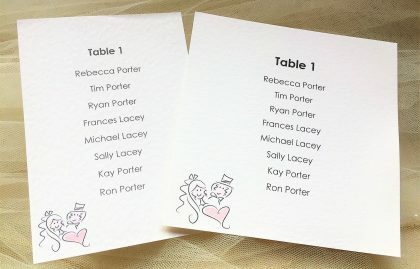 Guests are saved from the mad panic of trying to find a seat on a table with their friends/family, and you can place people where they’ll be happiest! 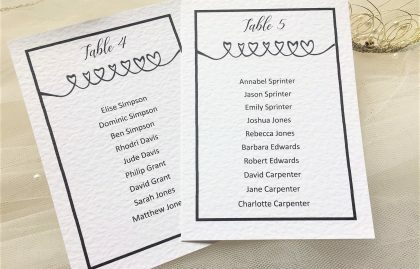 Making sure everyone is seated next to like minded people will ensure your reception has a good atmosphere and guests are happy chatting at their tables rather than making a dash for the exit it as soon as the reception is over. 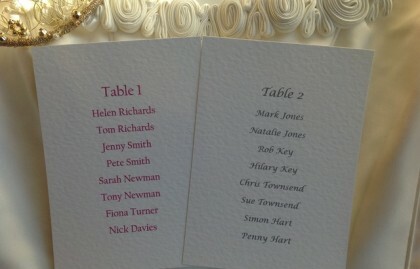 The wedding meal may last for 2-3 hours and is a significant part of the day. 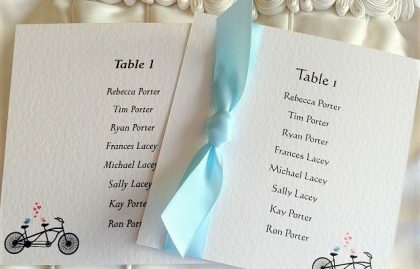 If your guests are sitting with people they get along with, it will make a big difference to their enjoyment of the day. 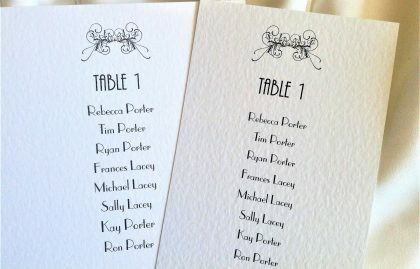 In the UK, the Bride and Groom would traditionally sit in the middle of the wedding top table flanked by the Bride’s parents, then the Groom’s parents and finally by the Best Man and Chief Bridesmaid. 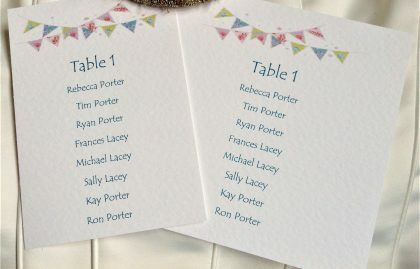 Don’t feel you need to stick with tradition though as some layouts can be particularly useful when parents have split up and are possibly with a new partner. 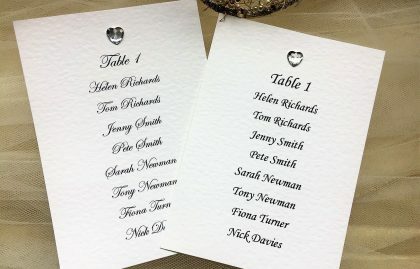 In many cases it is helpful to abandon the restrictions which tend to come with top table plans. 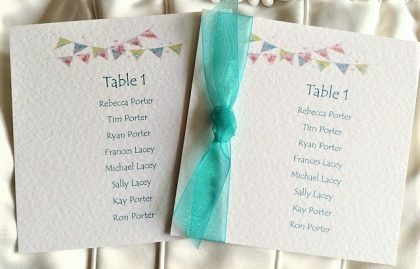 Sitting with friends, rather than family might be a solution? 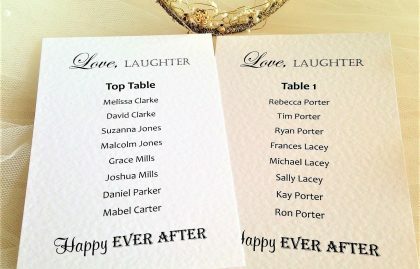 After all, it’s your wedding.